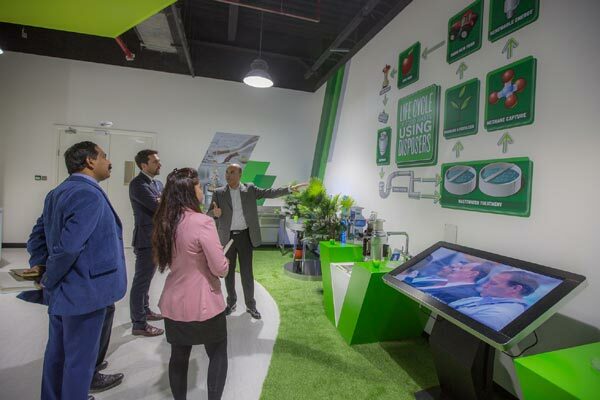 InSinkErator, a business unit of Emerson, the inventor and the world's largest manufacturer of food waste disposers for home and commercial use, hosted a delegation from Bee’ah, the Middle East’s sustainability pioneer, as part of an innovation showcase. In line with Bee’ah’s goal of achieving complete diversion of waste away from landfills, InSinkErator waste disposal technology limits the amount food waste being sent to landfills. Studies show that 7.3 million tonnes of food waste end up in landfills each year where it emits harmful greenhouse gases. Instead of going to landfill, food waste can yield biogas and vital soil nutrients which can be recovered at the wastewater treatment plant. “Collaboration is key to achieving this objective. Working closely with industry leaders such as InSinkErator helps us build on the latest trends and technology, even in niche areas like food waste, in our fight for environmental change,” he said. “It gives us great pleasure to use our international expertise in waste management to further bolster our commitment to the UAE and the Middle East, a commitment reaffirmed by expanding our training facilities in our regional headquarters in Dubai,” he added.